With a stay at Phu Proud Resort in Pa Sang, you'll be 24.1 mi (38.8 km) from Chiang Mai City Arts & Cultural Center and 30 mi (48.3 km) from Chiang Mai National Museum. Free self parking is available onsite. With a stay at Thanapa Apartment in Bangkok (Lat Phrao), you'll be 14 minutes by car from The Walk. Featured amenities include a 24-hour front desk and laundry facilities. Located in Cha-am, Terry's Guesthouse is a 1-minute drive from Cha-am Beach and 7 minutes from Cha-am Forest Park. Featured amenities include dry cleaning/laundry services and a 24-hour front desk. 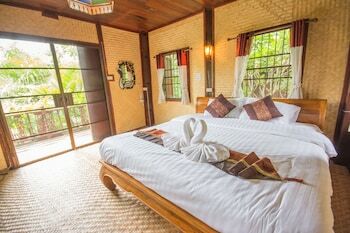 With a stay at The Sylvana Pai Boutique Resort in Pai, you'll be just steps from Wat Klang and Walking Street. The front desk is staffed during limited hours. Free self parking is available onsite.